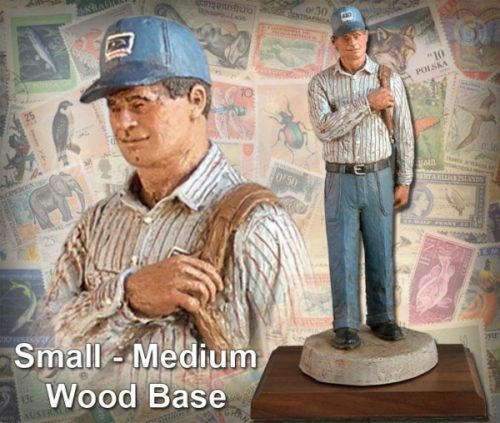 Not rain nor heat nor gloom of night stays a postman from the swift completion of his appointed rounds. 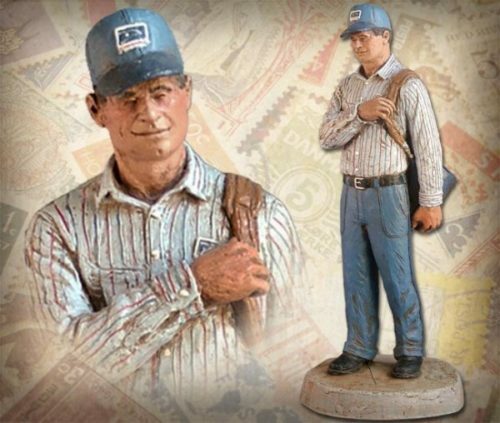 This handmade sculpture by Michael Garman honors the unsung American heroes of the US Postal Service. 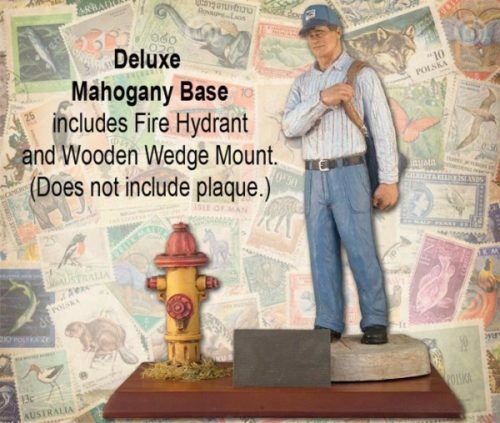 Sculpture measures 12.5″ tall. ©1998. Handpainted finish. #MG2227.